Today, Wednesday, February 02, 2011, the College is closed for business and classes. 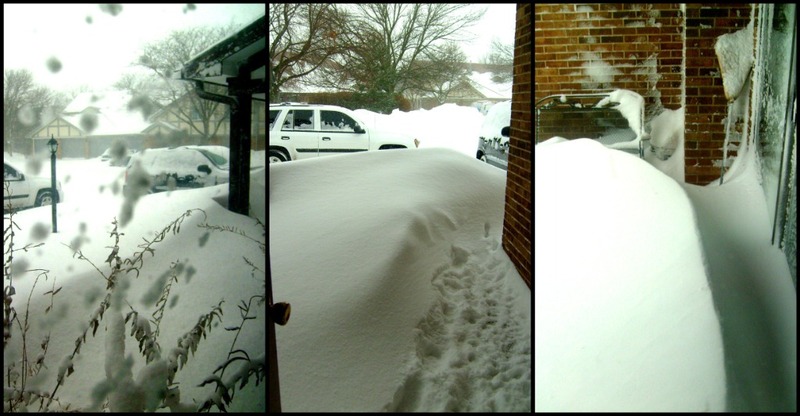 There is a three-foot drift outside my front door. Nice! I love how you’ve been able to take the same photo in the same house from the same angle! Amazing! Hi, Sophie. One of the pics is of the back patio, but, yes, I was really limited in my perspectives! You’re right, Amanda—snow days are a good reminder that we are not in charge AT ALL!